Men’s Journal is a full colour glossy magazine direct from the USA and spread over 10 issues per year. 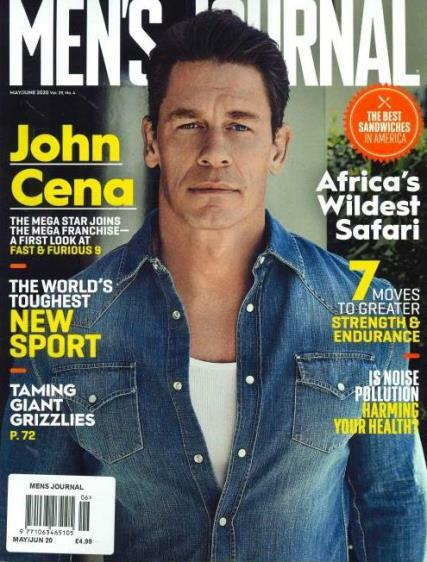 Buy a single copy or subscription to Men's Journal magazine. It is the ultimate men’s magazine for health and lifestyle. It contains expert advice on a variety of topics, including travel, health and fitness, style, food and drink, along with tales of adventure, specialist features on current affairs, reviews on gadgets and gizmos and a whole lot more. Men’s Journal is everything a man needs to stay in shape, improve their lifestyle and be a trend setter, whilst he enjoys reading the abundance of info specifically for the modern man. If you’re a man and want to improve yourself in more ways than one then subscribe today! A magazine for grown up men and not boy's ... I like it's more mature out look !